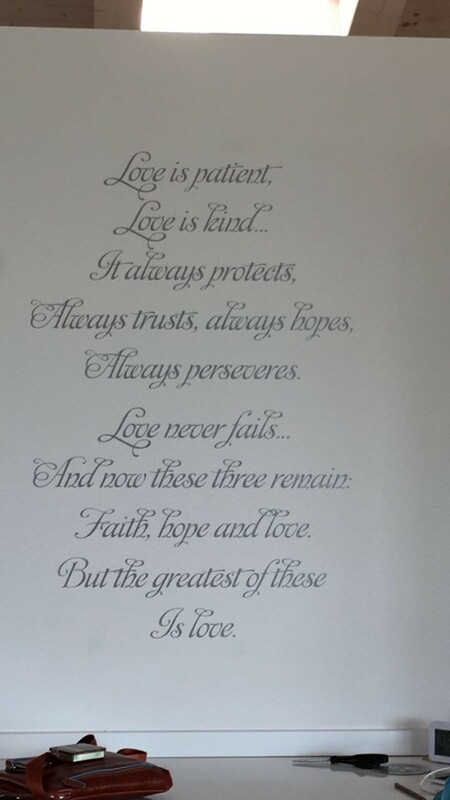 For her sister-in-law who lives overseas, Manuela Morana from Michigan created a unique decal using the beautiful words from 1 Corinthians 13:4-7. These inspirational verses are continuously quoted as a reminder of the true essence of Christ’s love as well as the love we should illustrate towards others. However, for Manuela’s sister-in-law, this passage holds an even more special meaning as it was used to commemorate her wedding day. 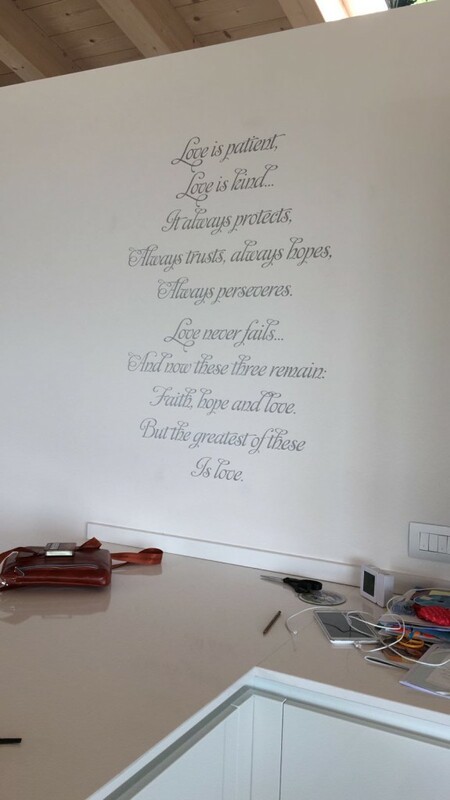 In order to give it an elegant tone, the decal was created using Dolce Vita font in a metallic silver color. The font is 2.5 inches high, making the perfect size for her sister-in-law’s home. Now, every time she sees this decal, she is not only reminded of a special day, but a God whose love for her surpasses understanding.